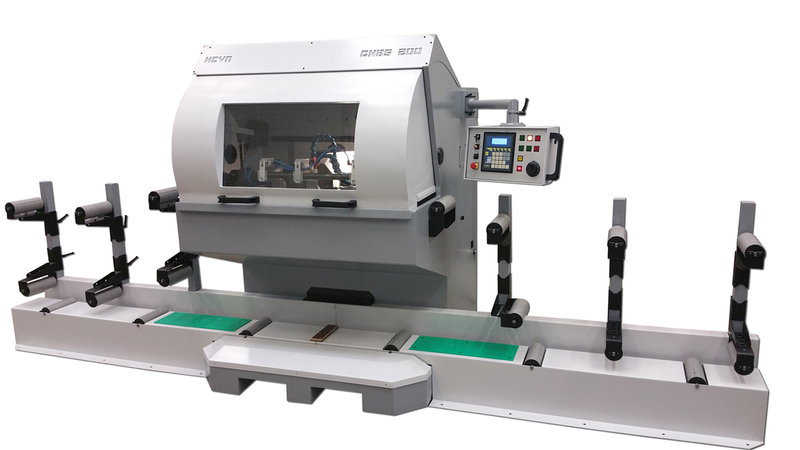 Machine for sharpening stellite, CV, bimetal and carbide-tipped band saw blades of 40 – 200 mm wide. It operates with ceramic grinding stone using water cooling. The grinding cycle is controlled via CNC servo motors; with the result that the saw tooth dynamics remain consistent. The grinder incorporates a coolant reservoir and spray system which helps to keep the saw blades cool during grinding. The machine has an extremely space-saving design. The coolant tank is integrated in the machine stand and is easily accessible from the front. The sturdy band saw blade holder is also readily accessible and easy to adjust, thus ensuring user-friendly loading of the band saw blade. The band saw blade holder can be conveniently adjusted to the relevant band saw width.